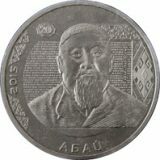 On the face of the coin called “Medrese” there is an imprint of architectural erection – medrese in Semipalatinsk where the future writer got his basic education. 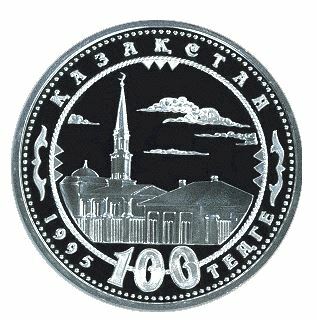 In the lower part of the coin there is a 100 figure showing the denomination. 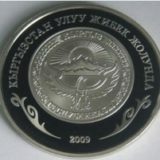 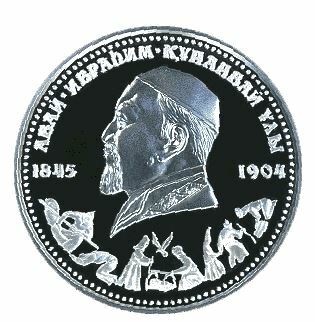 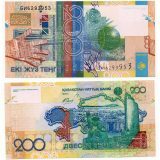 Along the circumference, inside the relief bolster there are “TENGE”, “1995”, “KAZAKHSTAN” legends in Kazakh divided by a decorative element. 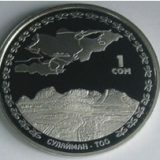 Along the circumference there is a beady thin rim and outstanding edging.